If you remember things better if presented diagrammatically we have MindGenius and Inspiration mind mapping software on the HWU desktop – and you can also get your own personal copy of MindGenius free – see Software for Personal Use. 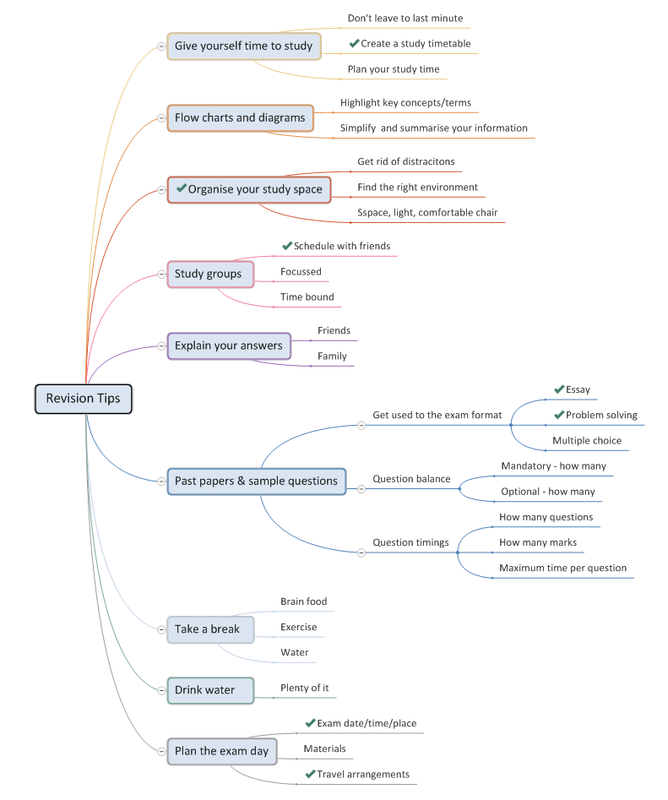 The following Mindmap of revision tips might be useful. doing a quick search of InformS to find other posts from previous revision periods with tips, links and videos. searching online – you might find some of the YouTube videos produced by the University of Essex useful see Ultimate Revision Advice #1: Plan like a Pro!